On that point, at least, he’s right. We do need strong leadership. The world is in chaos. There are riots from Greece to China. Iceland has collapsed, and Mexico teeters on the edge. Pakistan is broke, melting down and awash in nukes. Yes, the stock market soared with Geithner’s toxic asset plan, but didn’t he and Obama dismiss Wall Street’s response when the first version of the bank bailout landed with a thud last month? Don’t we hate Wall Street? Obama and Geithner subsidize hedge funds on Monday and come back with heavy regulations on Thursday. What gives? Gradually it becomes clear. This is not just a global economic crisis. It’s a global leadership crisis. Obama is still finding his footing, Gordon Brown is on his way out, Hugo ChÃ¡vez is nuts and Wall Street management is larcenous. Isn’t there someone somewhere with decent values, a firm hand on the tiller and at least one big new idea? Where have all the leaders gone? The liberal backlash against President Barack Obama has begun with many prominent left-leaning economists in the US attacking the administration’s plans to bail out the banks. Paul Krugman describes the toxic asset purchase plan as “cash for trash”. Jeffrey Sachs calls it “a thinly veiled attempt to transfer hundreds of billions of US taxpayer funds to the commercial banks”. Robert Reich depicts Tim Geithner, Treasury secretary, as a prisoner of Wall Street while Joe Stiglitz says the plan “amounts to robbery of the American people”. On the blogosphere and beyond, Democratic economists accuse Mr Obama – along with Mr Geithner, and Lawrence Summers, the president’s senior economic adviser – of taking dictation from the same financiers who have brought the economy to the brink of depression. Mr Reich, who was Bill Clinton’s Labour secretary in the 1990s before resigning over the former president’s reluctance to pursue a strong public investment agenda, says that he and his colleagues fear a replay of the Clinton years under Mr Obama. Mr Reich now talks of the “Paulson-Geithner approach” to demonstrate what he sees as the continuity between Hank Paulson, George W. Bush’s last Treasury secretary, and the current administration. Mr Reich says bank nationalisation is the only answer to today’s crisis. Not every Democrat agrees. Brad DeLong, a former Clinton official, says that every banking crisis – barring the Great Depression – has been resolved by government recapitalisation of the banking sector, as Mr Obama is likely to attempt in the near future. Nor, says Mr DeLong, is it fair to paint Mr Geithner as a creature of Wall Street. “Hank Paulson is a man who grew up in American finance and cannot imagine a world in which America does well and its financial sector does badly,” he says. But in reality the division is as much political as economic. Most of Mr Obama’s liberal critics argue he should have gone to Congress already and asked for a lot of money for bank recapitalisation. His defenders say that would be political suicide until the populist mood on Capitol Hill has died down. What’s Behind the Geithner Debate? If the United States was an aircrft, Obama has already touched every dial and lever in the cockpit. And what does that mean? Only one thing for sure: Uncertainty. And a lack of confidence. That’s why businesses are not yet rehiring and people are holding on to their money. 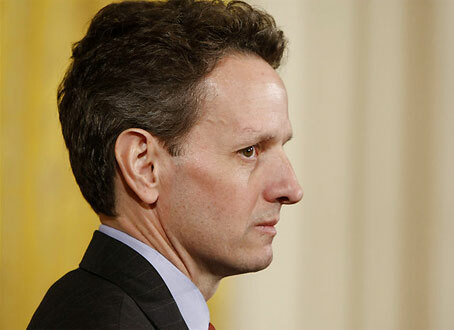 People are looking for more certainty and Geithner at Treasury isn’t offering that…. Progressives, who have so far marched in rare lockstep behind President Obama, are falling out over Treasury Secretary Tim Geithner’s plan to get credit flowing again. At issue are conflicting visions of exactly what kind of economy should emerge on the other side of today’s crisis. Pundits and columnists traffic in certitudes, but the rest of us can be forgiven for not knowing whether the Geithner plan will actually work. We’re in terra incognita here, and analogies to the Great Crash of 1929, or more recent banking crises in Japan and Sweden, may be of limited utility. Amid all the complexity and uncertainty, the debate over Geithner’s proposal is a kind of ideological ink-blot test. Some liberal critics charge that it is nothing more than a continuation of the Bush-Paulson policy of propping up failed banks and financial institutions until the crisis somehow resolves itself. They question whether Geithner, a former governor of the New York Federal Reserve, is capable of administering sufficiently harsh medicine to his former peers in the realm of high finance. Many conservatives, relieved by the voters of primary responsibility for fixing the mess, are hoping to exploit populist anger over the massive wealth transfer from taxpayers to Wall Street. The essence of Geithner’s plan is to reanimate the market for the securitized mortgages and other loans that no one wants to buy now. Until banks can take these toxic assets off their books, they won’t be able to resume lending. Geithner proposes to use what’s left of the TARP (Troubled Assets Relief Fund) money to entice private actors, such as hedge funds, to buy the assets. The basic idea here is that these private money-managers will do a better job of pricing the assets than the government ever could. If the spoiled assets regain their value, these private buyers win–but so do taxpayers, who would no longer have to foot the whole bill for the failures of the past. Conversely, if the assets do not regain their value, then everybody loses. Well, almost everybody. In order to persuade private buyers to take the plunge into the toxic pool, the Geithner plan insures them against downside risk. Putting the big banks on life support, in this view, merely prolongs the agony and could lead to a long period of Japanese-style stagnation. Better to follow the sterner Swedish model: Nationalize insolvent banks, wipe out equity holders, and return a smaller number of healthy banks with clean balance sheets to private hands. But nationalization could wind up costing taxpayers a fortune, while also causing collateral damage to the secondary market for securities backed by mortgages in other loans. Congress’ hot-headed reaction to the AIG bonus scandal did little to inspire confidence in the federal government’s ability to manage financial companies. Furthermore, Obama’s economic team seems willing to bet that bank assets are worth more than today’s depressed market prices suggest. In short, Obama and Geithner are working to restore the financial sector as it existed roughly a decade ago…. Leave aside for a moment the question of whether a market in which buyers have to be bribed to participate can really be described as “better functioning.” Even so, Mr. Summers needs to get out more. Quite a few economists have reconsidered their favorable opinion of capital markets and asset trading in the light of the current crisis. But it has become increasingly clear over the past few days that top officials in the Obama administration are still in the grip of the market mystique. They still believe in the magic of the financial marketplace and in the prowess of the wizards who perform that magic. The market mystique didn’t always rule financial policy. America emerged from the Great Depression with a tightly regulated banking system, which made finance a staid, even boring business. Banks attracted depositors by providing convenient branch locations and maybe a free toaster or two; they used the money thus attracted to make loans, and that was that. And the financial system wasn’t just boring. It was also, by today’s standards, small. Even during the “go-go years,” the bull market of the 1960s, finance and insurance together accounted for less than 4 percent of G.D.P. The relative unimportance of finance was reflected in the list of stocks making up the Dow Jones Industrial Average, which until 1982 contained not a single financial company. It all sounds primitive by today’s standards. Yet that boring, primitive financial system serviced an economy that doubled living standards over the course of a generation. After 1980, of course, a very different financial system emerged. In the deregulation-minded Reagan era, old-fashioned banking was increasingly replaced by wheeling and dealing on a grand scale. The new system was much bigger than the old regime: On the eve of the current crisis, finance and insurance accounted for 8 percent of G.D.P., more than twice their share in the 1960s. By early last year, the Dow contained five financial companies — giants like A.I.G., Citigroup and Bank of America. And finance became anything but boring. It attracted many of our sharpest minds and made a select few immensely rich. Sooner or later, things were bound to go wrong, and eventually they did. Bear Stearns failed; Lehman failed; but most of all, securitization failed. 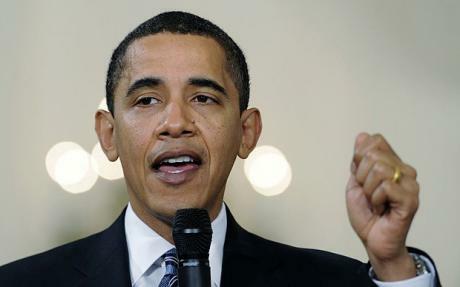 Which brings us back to the Obama administration’s approach to the financial crisis. Much discussion of the toxic-asset plan has focused on the details and the arithmetic, and rightly so. Beyond that, however, what’s striking is the vision expressed both in the content of the financial plan and in statements by administration officials. In essence, the administration seems to believe that once investors calm down, securitization — and the business of finance — can resume where it left off a year or two ago. To be fair, officials are calling for more regulation. Indeed, on Thursday Tim Geithner, the Treasury secretary, laid out plans for enhanced regulation that would have been considered radical not long ago. As you can guess, I don’t share that vision. I don’t think this is just a financial panic; I believe that it represents the failure of a whole model of banking, of an overgrown financial sector that did more harm than good. I don’t think the Obama administration can bring securitization back to life, and I don’t believe it should try. Giving the Treasury secretary authority over a broader range of companies would mark a significant shift from the existing model of financial regulation, which relies on independent agencies that are shielded from the political process. The Treasury secretary, a member of the president’s Cabinet, would exercise the new powers in consultation with the White House, the Federal Reserve and other regulators, according to the document. The administration plans to send legislation to Capitol Hill this week. Sources cautioned that the details, including the Treasury’s role, are still in flux.